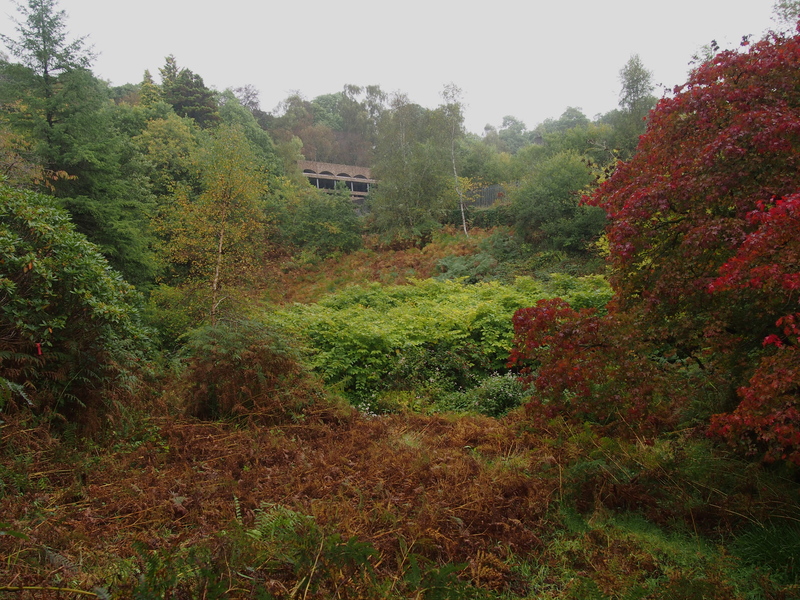 Recently I undertook to discover all the documented ‘views’ of an overgrown landscape (both internal and external). Sometimes, the view would reveal itself suddenly, springing out of what had seemed an impenetrable thicket, in an unexpected if not quite spectacular manner. Other times, the appearance of the view was more subtle, clicking into place before my eyes only once I made certain adjustments of expectation (imagining the leaves down from certain trees, for example). Although there was an unusual amount of effort involved in this case, the task highlighted for me a particular aspect of landscape viewing (as undertaken by Western, or Westernized, eyes): that is, the extent to which the satisfaction enjoyed in a given view has to do with an experience of recognition. In landscapes intended to be ‘natural’ – such as those constituted through the traversal of a hiking trail for example – the moment of recognition (often accompanied by a feeling of accomplishment regarding the physical effort expended to reach the viewpoint), includes a sense of encountering something shared with others, and a satisfaction in knowing what one is supposed to look at, what exactly should be appreciated about it. This is a recognition born of a rather subtle (because embodied) cultural knowledge. In the case of designed landscapes however, taking up a particular view is like standing in the shoes of the designer, seeing what he or she saw. There can be a certain deferred or second order intimacy in this moment, and also maybe a certain amount of submission, both of which inflect the otherwise disinterested activity of aesthetic appreciation with undercurrents of feeling both personal and political. 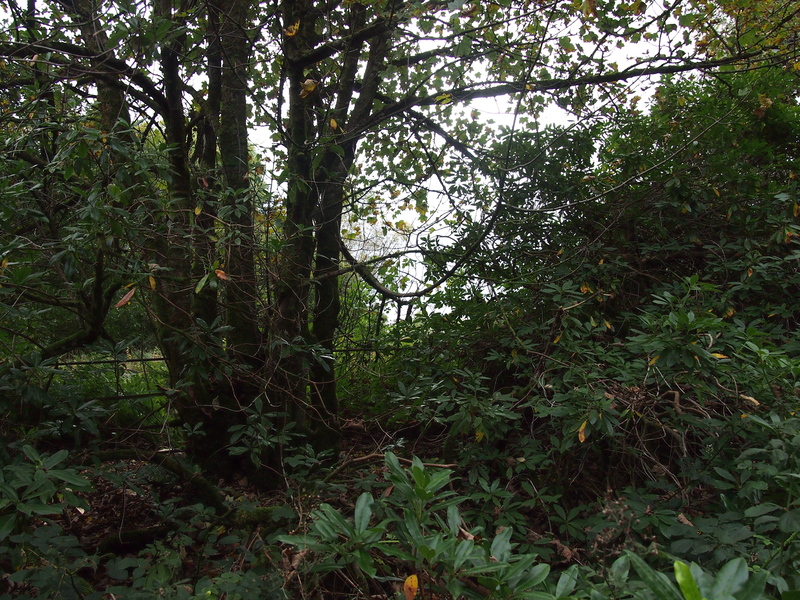 It was quite an unusual experience then, looking at a map, knowing there was supposed to be, or once had been, a view there, of something, but encountering only slight variations in the density of vegetation. In many cases it was hard to see what distinguished one view from another; in others, no view remained. Meaning that you could not distinguish anything past the branches and vegetation of trees and shrubs. Which led me to thinking about what it is entailed exactly in ‘taking in’ a view, and how the same visual strategies (e.g., searching out vistas, attending to depth and contrast in the field of view) yield very little in other settings. At the end of the day, I was amazed by how little I had seen of this particular landscape – despite having covered a lot of ground, and taken many (documentary) photographs. What should we call the kinds of looking that do not find a view (even on a miniature scale)? And what is the emotional correlate of a view-less looking, the flip-side of the recognition we experience in discovering a view? Is it simply confusion (as I experienced, wondering if I was looking in the wrong direction), or boredom? Or is there something else to be discovered in looking away from the view, in looking at the view obscured? This entry was posted in Uncategorized on October 15, 2013 by Erin Despard.